Home improvement decisions are often difficult to make, especially if you’re unsure of what changes will be most cost-effective in the long-run. Kitchen remodeling is one of the most popular types of home renovations, and if you’re a homeowner, chances are you’ve given this adventure a little thought at least once during the course of your ownership.One of the most common and frequent questions we hear as a construction and kitchen remodeling business is: does kitchen remodeling change the value of a home? 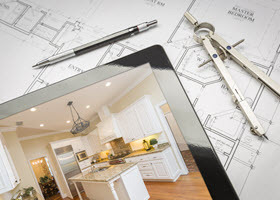 The simple answer is, yes; however, there are many different levels of kitchen remodeling that range in changes from minor to major, and it’s important to consider how every choice will impact your home’s value before you decide to follow through.In this article, we’ll discuss some of the significant aspects of kitchen renovation as it relates to your home’s value. These are the major components of a kitchen that appeal to buyers; however, as we mentioned, all buyers are different. Therefore, it’s important to keep designs as generalized as possible. There are a few different types of kitchen remodeling. 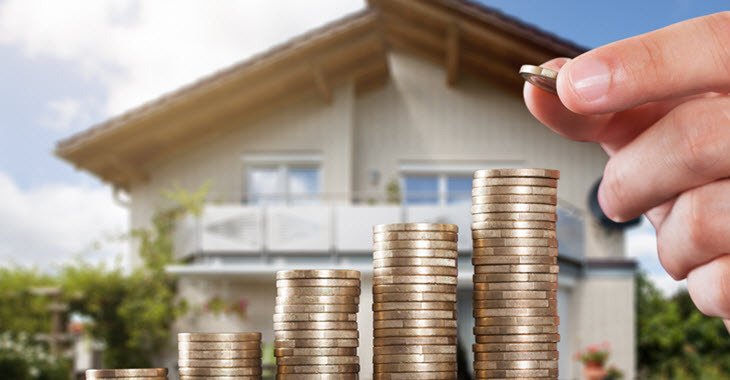 Some are simpler than others, and usually therefore cost quite a bit less money, which can yield a greater return on your home’s value. However, it’s not always about the money you spend; in fact, it’s more about how you spend your money that counts in kitchen remodeling. You might consider changing out appliances, updating fixtures, and deep cleaning or restoring flooring and cabinetry for a quick, simple kitchen update that will save you money, and yield a return. If your kitchen requires more in-depth changes, such as layout design or structural changes, plumbing or electrical updates, flooring or cabinetry replacements, etc. you might end up spending a bit more – it’s best to speak with a professional to perform a cost-benefit analysis. Not all kitchen renovations are worth the money spent. As we mentioned before, you could be making minor or major changes to your kitchen, which will affect the value significantly differently. Making major changes to your kitchen, such as removing a wall to open the floor plan, could greatly enhance the value of the kitchen, whereas making custom detail changes to a kitchen might not impact the value greatly. It’s important to look at what other homes in the area include in their kitchens and how you can match that in your own home without breaking the bank. Does the kitchen layout serve me and my family well? Does the kitchen design appeal to the vast majority of individuals and families? Is the kitchen generally functional? Will the design and materials last for years to come? How can I restore the kitchen to my liking and add more value to the home? It’s important that you’re comfortable in your home for years to come; however, since a home is an investment, it will benefit you to think further into the future with the renovations and remodeling changes you make. We know that kitchen remodeling is a stressful and confusing process with many complicated decision-making involved. For decades, the experts here at Kitchen Emporium have served Southern California areas, including: the San Fernando Valley, San Diego, and San Marcos, giving us a wide range of experience and expertise in renovation and remodeling as it affects home value. Since California has some of the most valuable real-estate in the country, we are well-versed in how to improve a home’s value. To schedule a consultation or to learn more about the services we provide, please contact one of our kitchen remodeling experts directly.